From ages 4-12, your child will go through a number of child development stages as he or she works to develop a personal identity while discovering his or her role and purpose in the world. 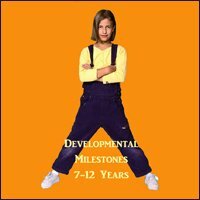 Because of the many exciting child development milestones your child will reach during his or her fascinating journey through childhood, I cannot cover them all in depth here even though I would have loved to. There is simply not enough space. 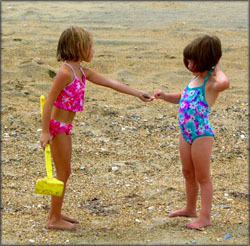 This article on child growth and development will cover the early childhood years of 4-6. 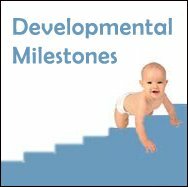 If you wish to read child developments stages for other ages please just visit my pages newborn development, baby milestones or toddler development. 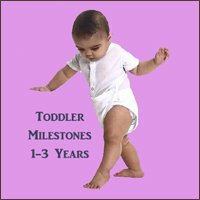 Physical, cognitive, social and emotional milestones: Age 4, Age 5 and Age 6. You've probably heard it before but I'll just repeat again, just in case: The first three years of a child's life is vitally important for laying a foundation of security, self-esteem, unconditional love, and acceptance. The fact that your child knows that he or she is loved and appreciated for who he or she is will make out the solid foundation that will be continuously built upon all through his or her life. You can view this foundation as the bottom of an iceberg - it's something you cannot see but it's big, it's solid and supports that which you can see, the top. The early years of a child's life lays this important groundwork. By consistently meeting your child's needs – physically, emotionally, and socially – you help lay the foundation to help your child become an empowered and happy individual who will respond to the world in a positive, caring and creative manner. While the first three years establishes the existential base, it is the time between his fourth and thirteenth birthday that much of the mental framework for the adult mindset is built. During this period, your child's unconscious perception of his or her self worth will play a big part of how he or she views himself, others, and society as a whole. For instance, if your child is filled up with unconditional love - his most basic existential and emotional need will be met. This will inevitably color his or her view on the world which will then not be seen from a perspective of scarcity, injustice or loss but rather from a perspective of possibility, connection and ability. In time these perspectives and principles will be so ingrained into your child's personality that they will play a big part in the quality of your child's relationships, his or her ability to unconditionally love others, and his or her motivation to fulfil dreams and goals. In the toddler years, your child learned about language by mimicking you. She repeated words without really knowing what they meant, but as she matured, her sentences became more complex and she learned how to use language to communicate specific ideas and emotions. During this time, you may have passed through the "terrific twos" and perhaps experienced frequent temper tantrums or stubbornness. By the end of the third year, this periodic 'moodiness' will probably have settled down somewhat (don't get too excited, it will make a comeback when she reaches her teens ;-) and your little one will want to take on more responsibility to demonstrate to herself that "I can!". During the child development stages of the toddler period, your child was learning about balance and coordination, but by her fourth birthday, her motor skills will be advanced enough that she will be ready to print, draw, and tackle many more tasks all on her own. Her unwillingness to play with others and share her toys has now passed, and by the time she waves goodbye to toddler-hood, she will be excited about having friends and socializing with others. But, the development stages between ages 4 and 6 are also very precarious. Your child will be introduced to a world with specific expectations and rules. HHe will probably begin attending school and will have to learn to function in a social setting completely different from his "at home" environment. This is a new frontier and he might be nervous, but he will also relish the independence. He will want to have some control over his environment and social interactions. He will enjoy following the lead of others, but he will also want a turn leading. For the first time, he is in a situation where he can use his skills and abilities in relationships with people outside his family. For example, if he is really good at playing "farmer" and he can convince the other children to willingly be the "animals". This will boost his confidence and make him feel like he has something positive to contribute. Erik Erikson on the Age 4-6: Development of a Conscious Self Image: Am I Good or Bad? 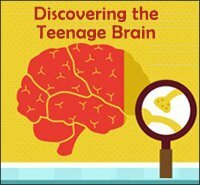 The child development stages between your child's fourth to sixth year represent what psychologist Erik Erikson calls the "Initiative versus Guilt" stage. According to Erikson, this is when children ask themselves the question, "Am I good or bad?" It is the stage when they realize that everything has a purpose, and therefore, they begin to develop a sense of purpose for their own lives – even though this purpose may be planning a game of hide-and-seek or enlisting friends to help build the "tallest tower in the world". Children who successfully feel like they have some power or control over their environment will believe themselves capable of leading others and develop a strong sense of purpose. The other way around, Erikson states, those who don't succeed - perhaps because they are criticized or are in some other way prevented from taking initiative - might end up experiencing guilt, self-doubt, and a sense of disapproval (from themselves as well as others). 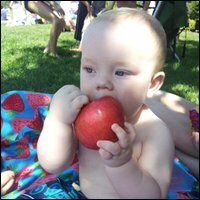 Jean Piaget's theory states that preschoolers are in what is known as the Preoperational Stage. 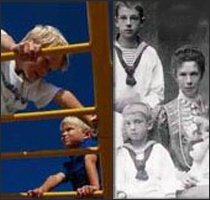 Jean Piaget believed that children in this age group see the world from their own perspective and are incapable of distinguishing their point of view from viewpoints held by others. In this case, you can expect your child to always want his own way, not because he is selfish, but because he is not aware that any other viewpoint exists. "Jean Piaget, You're Wrong! Children Do Have Empathy and the Ability to Put Themselves in Other People's Shoes"
Developmental psychologist, John Flavell, used Piaget's work as a springboard for his own research of development stages, and his findings were very interesting. Piaget claimed that preschoolers only think literally. However, Flavell discovered that children as young as four years old can not only think logically, but can understand that someone else's experiences may be different from their own. In fact, he found that children in this age group could put themselves into others' situations. For example, a five year old may know that daddy is upset because the car broke down, even though he (the child) has no emotion about the condition of the car because it does not directly affect his life. Because they CAN see multiple viewpoints, they understand that different people have different roles, and therefore, they want to discover their own purpose. To achieve this, they will want to know the "why" in everything and will attach both their successes and failures to their ability to accomplish their purpose. If they fail or receive disapproval then they tend to view themselves as "bad". If they achieve success then they perceive themselves as "good". Your encouragement and unconditional love will make sure that she comes through this "preoperational" or "initiative versus guilt" stage knowing that she is good, possessing a sense of purpose, and taking the initiative rather than always questioning her abilities. Stepping out of the child developmental stages of toddler-hood and entering the preschool years can be an exciting adventure. When it comes to physical, cognitive, and social development, there are only guidelines – not hard and fast rules. You will have fun playing games with your child since he can now catch, throw, kick, and bounce a ball with fairly good aim. 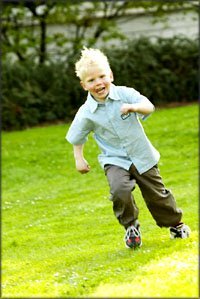 He can change directions while running, hop on one foot, pedal and steer a tricycle, and walk on a narrow line or beam without losing his balance. Your heart may also skip a few beats in panic as you watch him run up and down stairs, climb trees and playground equipment with abandon, and jump off decks or platforms while pretending to be a superhero. 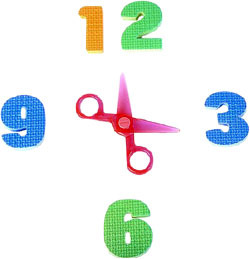 During these child development stages fine motor skills will be much improved and he will be able to cut out simple shapes, thread small beads, hold a pencil correctly, and put together 12 piece puzzles. He will enjoy drawing, and artwork will become more detailed. People will have a body with a head, legs, and possibly arms, and he will be able to copy pictures with good accuracy and proportion. He may even begin printing a few letters. He will continue to assert his independence and insist on dressing himself, including buttoning and unbuttoning clothing. 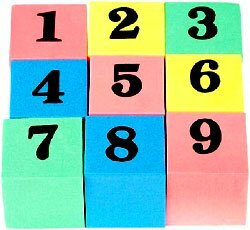 As your child gains new knowledge about his surroundings, he will begin to develop an understanding of numbers. He will be able to count to 20 by rote, although he will not really grasp the concept of numbers higher than 3 or 4. His memory skills will have improved to the point where he can remember past events and will talk about them. He will be excited about future activities as he can now understand the concept of past, present, and future. If asked, he can now give reasons for his behavior and explain his actions. You will also be impressed at his improved problem solving abilities. Since pretend play and make-believe are a large part of his learning experience, your child will often confuse reality and fiction. During these development stages his speech will have improved so much that he will now be understood by strangers, and he will begin speaking in longer sentences. Although his vocabulary will be quite extensive, he will still make errors, especially when using past tense. 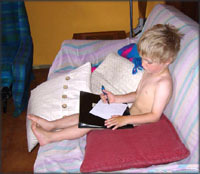 For example, he may say, "I drawed a picture", or "Yesterday, I goed to preschool". He will love rhymes or songs, and reciting these will help him develop his language skills. Now that he is talking more fluently, you will find that his vocabulary will grow very quickly. Again, these early child development stages are all about independence. By this stage, your child will know how to eat with a spoon and a fork and will want to butter his own bread, cut his own meat, or put ketchup on his own french fries. He will be able to complete small tasks like washing his hands or brushing his teeth. When he was younger, he probably preferred to play on his own because he didn't yet understand how to share. But, now that he is a little older, he will enjoy interacting with other children and will have some understanding about the feelings and emotions of others. For example, he may show concern if another child is hurt, or share a toy with a friend who appears sad. He will have developed a sense of humor, and "made-up" jokes or riddles will be a large part of his conversation. He will also be affectionate toward family and friends, and will still seek that physical connection as a source of security and comfort. By the time your child is 5 years old, she may be able to skip rope, touch her toes without bending her knees (can you do that? 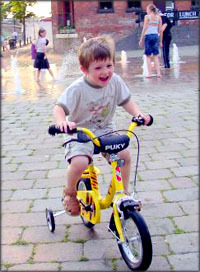 ), balance on one foot, and possibly begin learning to ride her bike without training wheels. As her ball skills improve, she may show an interest in baseball or t-ball, and she will continue to use her climbing ability to explore the world. Slides, jungle gyms, and tree houses in safe environments are a great way to satisfy the "climbing urge" while also preventing injury. She will also love music, and will be able to move rhythmically to the beat. You may even notice that she makes up her own moves or combines dancing and music with other games. She will probably be printing her own name, drawing detailed pictures of houses, people, and animals, and will do a fairly good job of staying in the lines when coloring. She will be quite adept at using child-sized scissors and will have good control of pencils, paint brushes, or large sewing needles. She may begin using a knife at meals but will likely still need your help occasionally. She will be able to duplicate a model built with blocks and will enjoy counting her fingers or other objects. By now, she can easily dress herself and will probably insist on choosing her own clothing and getting ready without your help. Drawings and artwork will now be proportional. For example, he will make sure that a car is smaller than the house or that a bird is smaller than the tree. 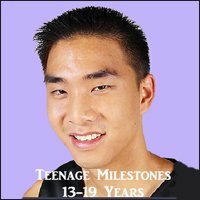 If he has been taught, he will be able to give his full name as well as his age, address, and birthday. As your child matures, he will continue to grasp more abstract concepts such as time or space and will begin to ask about the meaning of non-concrete words such as "beyond", "whenever", or "forever". During these development stages your child's sense of humor will begin to emerge. He will enjoy hearing jokes that he understands and will especially like telling them, or even making them up. His sentences will be much more complex and more grammatically correct. He will love to read and will even make up new endings to familiar stories. Your may notice that he is beginning to recognize words in a book, and will be able to identify his own name. He may act out stories that he has heard or read as a way of applying this information to real life. This is a natural technique in developing the ability to distinguish between fantasy and reality as he slowly realizes what can really happen and what is simply make-believe. Although your child has always had likes and dislikes, at this age they will become very obvious. He may say things like, "I hate peas", or "I love my new coloring book". Since his coordination has improved and he can now read a few words, he will sit for long periods of time looking at books, coloring pictures, or practising printing. Now that his physical abilities are catching up with his imagination, he will also entertain himself for hours by building "cities" for his cars or re-enacting favorite television shows. He will become more sensitive, especially toward his friends, and may even ask for a pet to shower with love. By age 6, coordination will have improved so much that she will be hopping, skipping, and jumping all over the house. Ordinary walking is way to boring! She will now be able to kick a ball quite a distance – maybe 9 or 10 feet, and with enough accuracy or direction that she might be ready to join a sports team. She will have good balance, be able to chase others, dodge objects, and ride a two-wheel bike with confidence. She will likely be able to print both her first and last names, and her letters will be of similar size. She may even begin joining letters together to copy cursive writing. Drawings will be even more detailed, and she will be able to build towers or other structures using smaller blocks. By this stage, your child may be able to tie her shoes and perform finer skills such as threading and sewing neat stitches. Of course, independence is still a priority, and she will insist on making her own meals such as a simple sandwich or bowl of cereal. At this age, your child will be better at differentiating between fantasy and reality and will begin to realize that there can be more than one correct point of view for any situation. She will now have an understanding of quantity concepts such as distance, weight, or length, and will be able to arrange objects in order of size or weight. 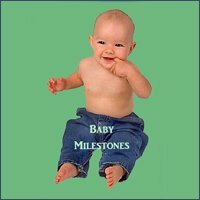 Your child will now enjoy counting to 100, know the days of the week and the months of the year, and will be able to find her own birthday on a calendar. Because these child development stages have paved the way for your child to have an understanding of the future, she will be able to predict what will happen based on her knowledge of cause and effect. The understanding of this concept will also help her grasp more abstract principles such as what happens when water is put in the freezer, or when a pot of soup is placed on the stove. By this age, your child will be speaking and singing fluently. She may now be able to read a few words and will begin printing familiar letter combinations. Although many children can read simple stories or lists of words at this stage, do not be alarmed if your child does not develop this skill until she is seven or eight. Once a child experiences the excitement of independent reading, she will want to read more often. She will also enjoy taking turns with you as you read a story together. Your child has reached the age where she will want to take on more responsibility. She will feel confident and capable if she can carry out "adult" tasks with success. Although she should not be entrusted with something that she cannot handle (even if she thinks she can), it is a good idea to give her simple jobs such as washing vegetables, setting the table, watering the plants, or tidying the shoe shelves. She will love socializing with other children, especially now that she can choose her own friends. She will understand the "talking/listening" dynamic of conversation, and will be able to communicate her thoughts and feelings quite effectively. As she becomes more aware of her strengths and abilities, she may ask to participate in activities that will allow her to use these skills. For example, if the teacher tells her that she is good at drawing she may ask to take an art class or start her own "business" making greeting cards for family and friends. Encourage independence by allowing him to do things by himself, even if it makes a mess. Let him pour his own milk, make his own sandwich, or make his own bed. Provide materials that encourage creativity such as crayons, glue, scissors, and other art supplies. 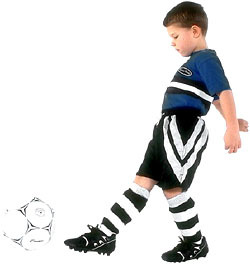 Provide balls, bicycles, and jump ropes to help develop and refine coordination. 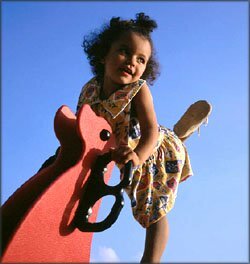 Take your child to the park or the public playground so he can climb, swing, slide, and spin. Give your child toys that require thinking skills such as puzzles and construction sets. Provide simple board games or activities that have specific rules and also encourage your child to make up his own games and rules. Provide opportunities for your child to take on responsibility such as wiping the tables, dusting, or sorting laundry. 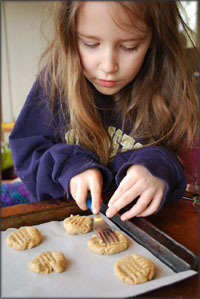 Allow your child to assist you with tasks such as cooking, unpacking groceries, or gardening. Give your child opportunities to sort and match such things as socks, cutlery, or buttons. Correct grammatical mistakes without criticism. For example, if she says, "I braked the toy" you can respond with "Yes, you broke the toy!" Encourage her to use her imagination. Answer questions, ask your own questions, and give your child time to think about his answer. Be patient and listen when he speaks. Resist the urge to finish his sentences for him or "guess" at what he may be trying to say. Allow him to make choices. By letting him choose his own snack, what shoes to wear, or what video to watch, he will feel like he has some control over his life and learn the concept of cause and effect. Always be encouraging and supportive, and don't make accomplishments a prerequisite for love and acceptance.